When it comes to social standing, Eden is at the bottom. She is a light skinned Pearl. Pearls are viewed as weak and ugly, plus, they don't survive well in the extreme heat of the World. The dark skinned Coals are the definition of beauty and survival. The Pearls color their skin and hair in order to blend in with the Coals, but they are still frowned upon. Because of this, Eden's mating ratio is 15% and she must find a mate before she turns 18 or she'll face certain death. After a betrayal, that puts her father's work in jeopardy, the very same work that could save humanity, Eden finds herself fighting to keep her father alive and forced to take refuge in what's left of the rainforest by a beastly man whom she thinks is her enemy. 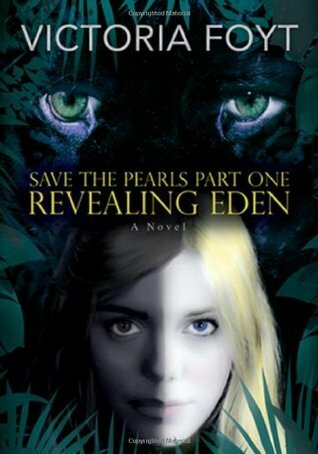 Revealing Eden is the first book in the Save the Pearls series by Victoria Foyt. I first found out about this book through a clever video that can be found on the book's website. Once I started reading it, I couldn't turn the pages fast enough. Victoria Foyt created a truly realistic world that makes you feel like you're running through the rainforest with Eden. The romance was intriguing and addictive. I liked Ronsom Bramford from the start, and as he 'changed', I found myself liking him even more. There is something about the whole Beauty and the Beast vibe that I fully enjoyed throughout this story. I'm very excited to see what happens in the next books in the series. Revealing Eden was a whirlwind of danger, adventure, and romance with a unique spin on racial prejudices. To learn more about Victoria Foyt and her books, visit her website. You can also find her on Facebook. Revealing Eden by Victoria Foyt was provided to me by the publisher through Net Galley for review. The opinions are my own. This one sounds fairly interesting! I hadn't heard of it until now. And ooh, a Beauty & the Best vibe! Fab!